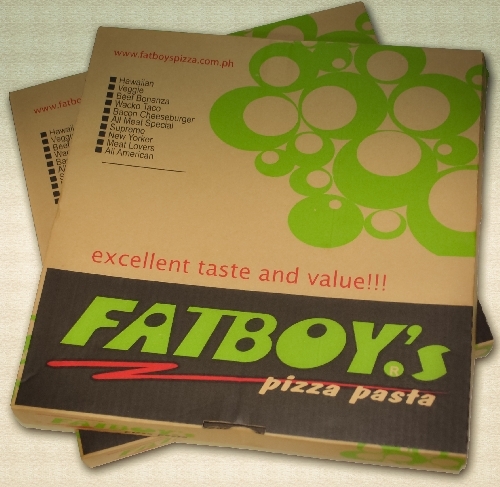 I was supposed to claim the Fatboy’s pizzas last Saturday at SM Southmall thanks to my MetroDeal vouchers. 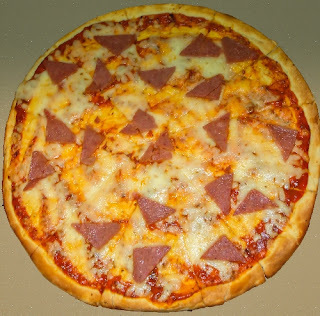 I wanted the pizzas to be our “movie food” while watching Skyfall on IMAX but my plan got thwarted. We ended up watching Skyfall at Greenbelt. Since I’m a big Walking Dead fan, I figured that I’d enjoy watching the latest episode if I’m eating delicious food. Good TV Show + Yummy Pizza = Great Time! I asked my friend to pick-up the pizzas for me since the mall was on her way anyway. She simply showed the Metrodeal vouchers and got the Sweet Corn Pizza and Ham and Cheese Pizza (two pizza choices for the promo) after 10 minutes. 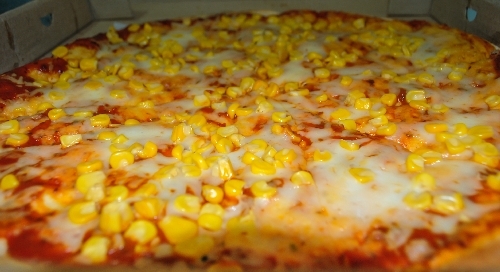 I know what you are thinking….sweet corn on a pizza? It may sound kind of weird, but you have to give it a chance. I actually liked it! The flavor of the corn blended well with the mozzarella cheese and pizza sauce. My friend, on the other hand, feasted on the Ham and Cheese pizza. She loved it so much because they didn’t scrimp on cheese and sweet ham. Oh, I forgot to mention early on that I got the two enormous pizzas for only Php250. What an amazing deal!